HUMAN - Brrr! They said this house is haunted. 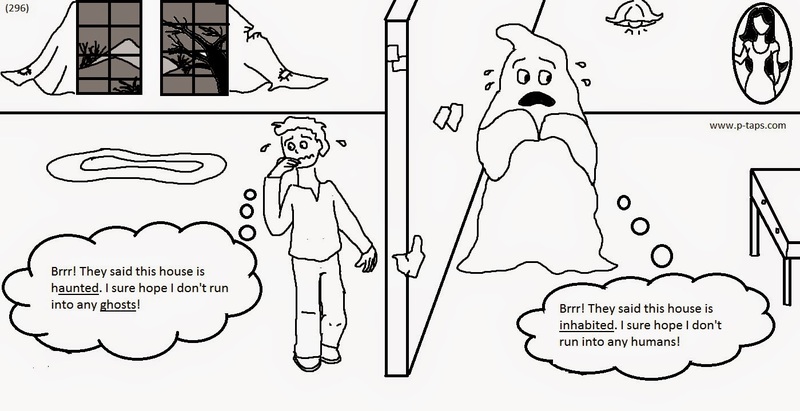 I sure hope I don't run into any ghosts! GHOST - Brrr! They said this house is inhabited. I sure hope I don't run into any humans!